Description: October 31 has historically been celebrated in the church as Reformation Day yet most Christians don’t even know that Reformation Day exists, to them, October 31 is simply Halloween. We have forgotten the great men who risked their lives for the sake of the gospel and have left us a legacy of Christian freedom and who God used to recovered the gospel of grace. 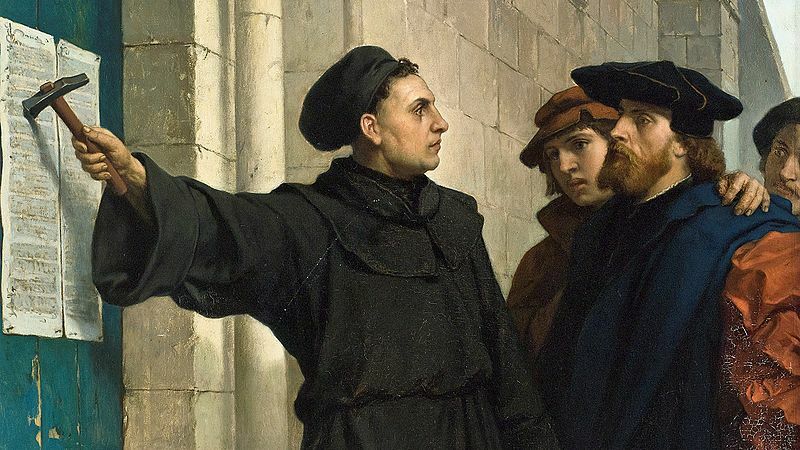 In today’s sermon we answer the question “Is the Reformation over?” and explore the five solas which function as the pillars of Reformation doctrine. Scripture Teaches: Salvation is by Grace alone, through Faith alone, in Christ alone, to God’s Glory alone! You are currently browsing the archives for the Reformation Sunday category.